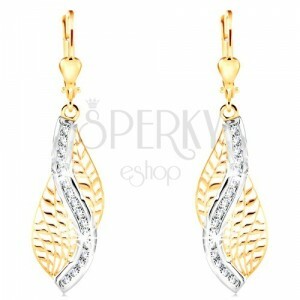 14K gold earrings, big flat leaf filled in with tiny leaves, shiny curved white gold line with imbedded zircons. 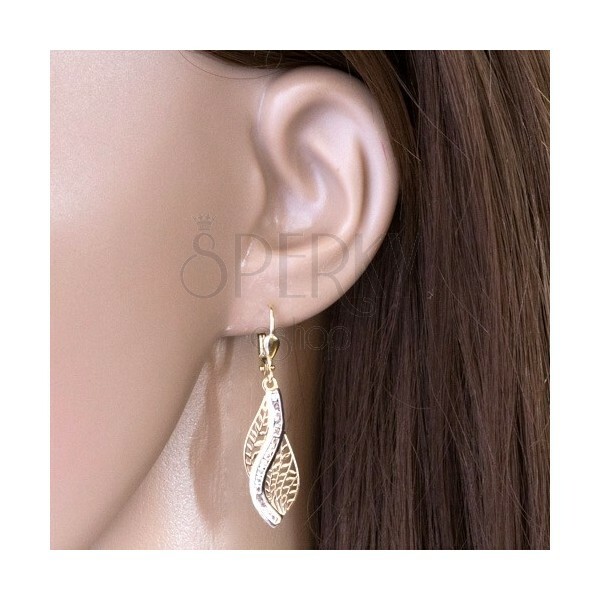 By buying this product you can collect up to 101 points as a voucher of $27.27. Your reward points. 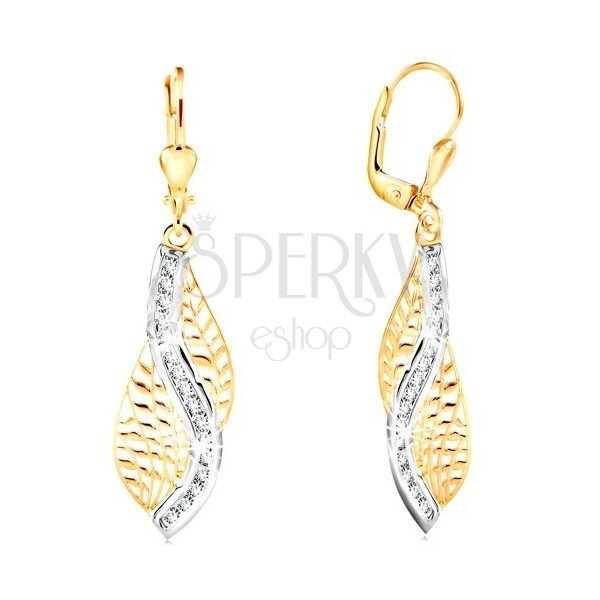 Earrings made of combined 14K gold are shaped as a big leaf with flat and shiny surface. 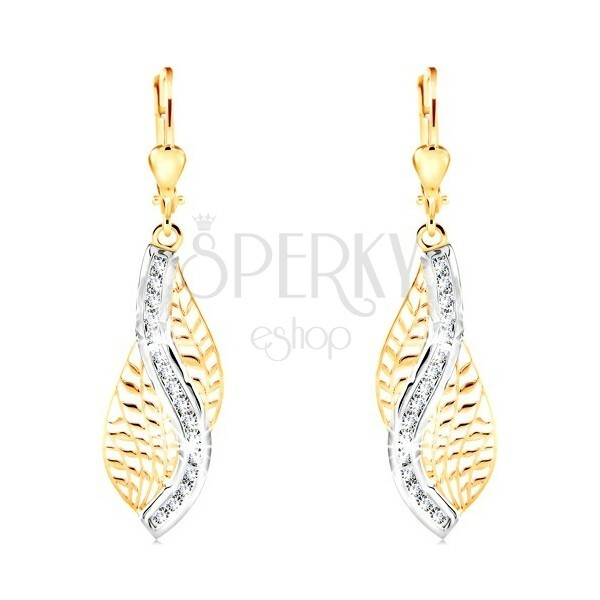 Through the middle of the leaf stretches a curved line covered with a layer of white gold and with imbedded circular clear zircons. 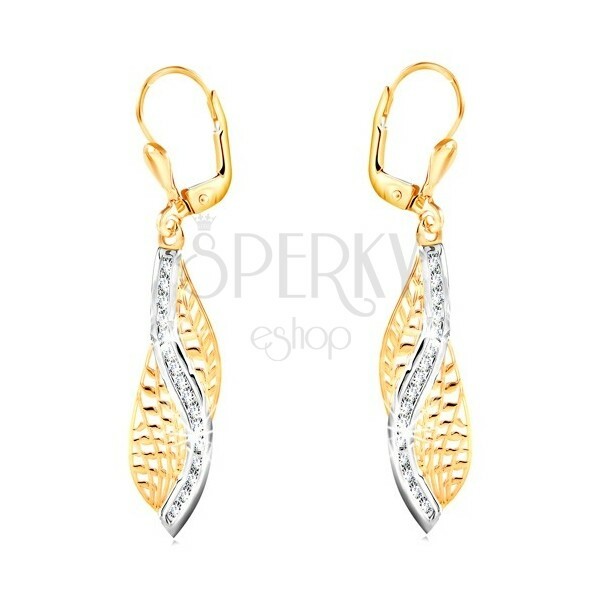 The earrings have lever back fastening decorated with a small reversed drop.